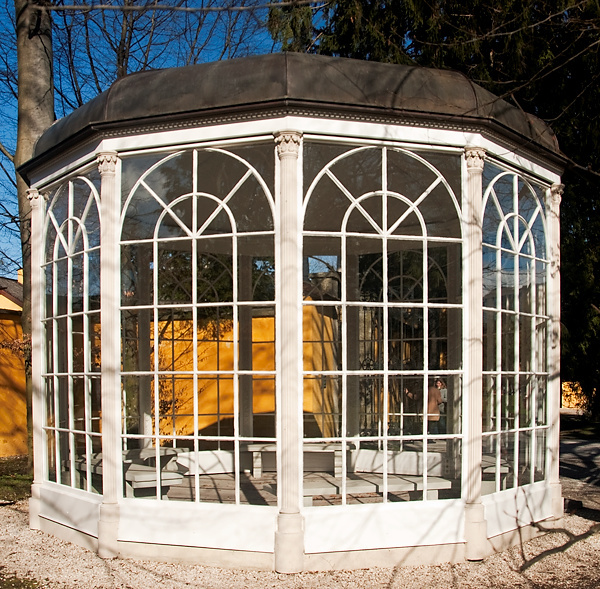 The gazebo where "Sixteen Going on Seventeen" and "I Must Have Done Something Good" were filmed is part of every "Sound of Music" Tour. Just as many people know Salzburg as the home of The Sound of Music as the birthplace of Mozart. The city was the home of the Von Trapp family and was also where the movie was filmed in 1965. If you know the movie, you’ll recognize the location of many of its scenes. Close to the hotel where we often stay is the fountain that Julie Andrews splashes in I Have Confidence. The Do Re Mi sequence was filmed throughout Salzburg: the carriage that goes in front of the horse fountain, the bridge everyone goes over, the market scene, the steps where the song ends. Nonnberg Abbey, a 10-15 minute walk from our hotel, is where Maria was actually a nun. In the film, this is where Maria left the convent, where the children went to unsuccessfully visit Maria after she had left the family, and where the Nazis’ cars do not start at the end of the film. 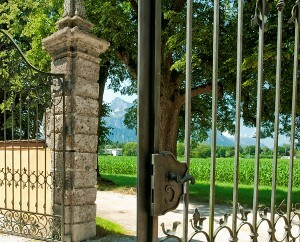 Not far from Salzburg’s Old Town is Leopoldskron, a stately house that was the backyard of Von Trapp’s home in the movie. This is where the scene where the boat transporting Maria and the children overturned, and where several of the scenes on the back patio were filmed. 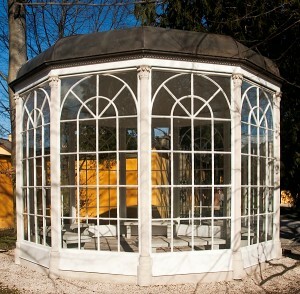 The famous Gazebo is now on the grounds of Hellbrunn and is a popular destination for visitors. 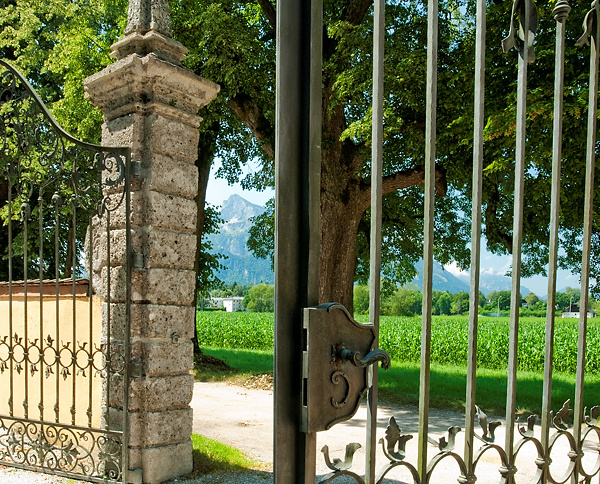 You'll remember Maria looking through these gates when she first arrived at Von Trapp's home. They are now part of Frohnburg Palace. 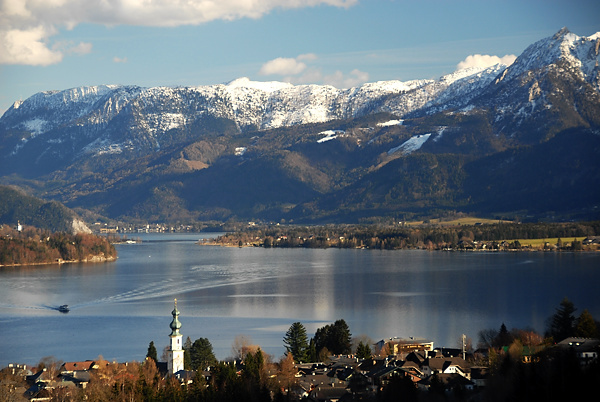 In the beautiful Salzkammergut (Lake Country) lies the beautiful town of Mondsee. The Cathedral here is where the wedding scene was filmed. Many of our trips will take The Sound of Music Tour – a four-hour bus tour that visits many of the sites above. On the trips that do not include this tour, you may certainly do so on your own. Dr. Nelson will tell you how to arrange it. For customized group trips, Dr. Nelson will give a fun presentation that shows scenes from the film followed by pictures of what those locations look like today.